Shiva Sahasranama is one of the most popular mantras dedicated to Hindu God Shiva. This Shiva Sahasranama in pdf format in Hindi is for free download. The prayer consists of the 1000 names of Shiva. This mantra is believed to have been narrated first by Vishnu and is found in the Shiva Purana. 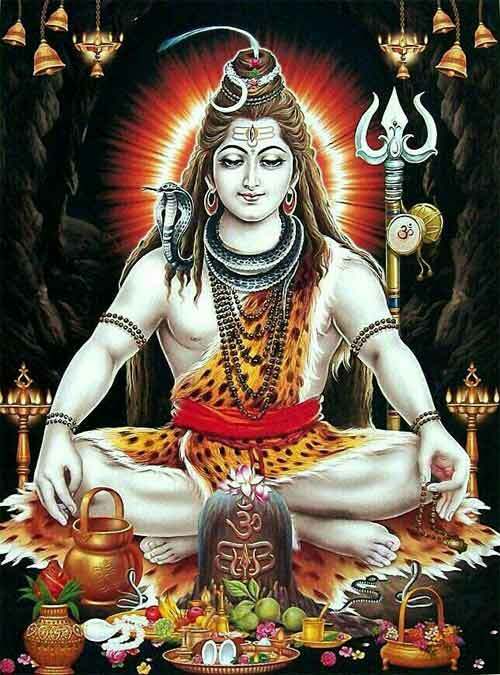 It is chanted during the worship of Shiva especially on Shivratri and Pradosh. How To Chant Shiva Sahasranama? Take bath before chanting Shiva Sahasranama. The person should first offer prayers to Ganesha in mind. Prayer to personal deity for a pure mind. Sit facing north or northeast and read the Shiva Sahasranama. When to Chant Shiva Sahasranama? Monday morning or during Pradosh period. Thirteenth day of a fortnight when pradosh is marked in a Hindu lunar calendar. Shiv Chaturdashi (a day before Amavasya). If a devotee wishes then it can also be chanted daily or for 16, 32, 64 or 128 consecutive days. Women can chant the mantra even during their monthly periods. There are no restrictions. Benefits of Chanting Shiva Sahasranama? Early marriage with a desired person. To overcome a serious illness. To severe worldly ties and concentrate on achieving liberation or moksha. To achieve concentration and focus more on daily routine. To get the blessing of Shiva and achieve success in life.